We offer a Standard In-House Review as well as the option for a Double–Blind Peer Review* for all submitted proposals. Those who choose the Double-Blind Peer Review option may be asked to assist in reviewing other conference proposals. Please remember that selecting the Double-Blind Peer Review will extend acceptance of your proposal by up to one month. The 2019 Clute International Academic Conferences Las Vegas will be held from Sunday, October 13, 2019 to Wednesday, October 16, 2019 at the LINQ Hotel and Casino on the Las Vegas Strip. Our conferences aim to bring together faculty and administration from all levels of education across the world. We encourage a cross-disciplinary exchange of thoughts, ideas and innovation through a variety of teaching methods and perspectives. The conferences provide a platform to enhance your knowledge and professional skills through interaction with colleagues and peers from different nationalities and backgrounds. This year the conferences include: The Clute International Academic Conference on Business (IACB) and the Clute International Conference on Education (ICE). The Clute Institute is also sponsoring tracks in Science Education (ISEC) and Technology in Education (ICTE). Featuring more than 30 unique retail, dining and entertainment experiences and is adjacent to Harrah’s/LINQ monorail station and the world’s tallest observation wheel, known as the High Roller, which stands 550 feet tall. The LINQ Hotel and Casino on the Las Vegas Strip puts you in the center of everything Vegas has to offer. There are a limited number of rooms at the conference group rate, so book your room as soon as possible. This rate is in effect until September 12, 2019 or until sold out. Submitting a paper? Be sure you have followed the below submission requirements. By checking "yes," you agree to assist in reviewing potential conference papers within your field of study. Reviewers are not asked to review more than 2 or 3 conference papers, and a typical review should not take more than 10-15 minutes to complete. This volunteer position is available! A session chair is tasked with proctoring presentations in their assigned session. You will be awarded for your valued assistance. Please include all co-author information: name, institution, country, and email if applicable. Please upload the current version of your abstract/paper (.doc, .docx, and .pages formats only). Would you like this paper reviewed for possible journal publication? I agree that, if accepted, the Clute Institute is only liable for the conference registration fee in the event of extraordinary occurrences beyond our control that would limit or block our ability to hold the conference. 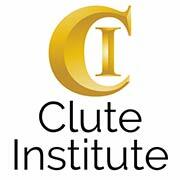 I agree that if I can not attend the conference, I must immediately notify the Clute Institute in writing by email. If I can not attend the conference and have already made a payment, I am allowed one transfer to a future conference, within 1 year of the original event. Where the registrant is unable to attend, then the following refund arrangements apply: Registrations cancelled less than 90 days but more than 14 days before the event will be assessed a $50 USD processing fee. Registrations cancelled less than 14 days before the event will not be eligible for a refund. I also agree that my views, opinions and positions expressed and/or implied by me at the conference, are mine alone, and do not necessarily reflect the views, opinions or positions of the Clute Institute. I agree that my participation at the conference is of my own free will and I assume responsibility for my own well-being. I agree that Clute Institute representatives may take videos/photographs that may include my image during the conference, and that by submitting this form I grant the Clute Institute consent and permission to use these videos/photographs. By submitting this form I agree that the attached document is cited correctly and contains my own original work. I also agree that, if accepted, the Clute Institute is only liable for the conference registration fee in the event of extraordinary occurrences beyond our control that would limit or block our ability to hold the conference. I agree that I must attend the conference (either in person or virtually) for my paper to be included in the conference proceedings. I agree that if I can not attend the conference, I must immediately notify the Clute Institute in writing by email. If I can not attend the conference and have already made a payment, I am allowed one transfer to a future conference, within 1 year of the original event. Where the registrant is unable to attend, then the following refund arrangements apply: Registrations cancelled less than 90 days but more than 14 days before the event will be assessed a $50 USD processing fee. Registrations cancelled less than 14 days before the event will not be eligible for a refund. I agree that my views, opinions and positions expressed in my conference submission, and/or expressed by me at the conference, are mine alone, and do not necessarily reflect the views, opinions or positions of the Clute Institute. I agree that my participation at the conference is of my own free will and I assume responsibility for my own well-being. I agree that Clute Institute representatives may take videos/photographs that may include my image during the conference, and that by submitting this form I grant the Clute Institute consent and permission to use these videos/photographs.